An Argos employee who stole stock worth more than £1,200, was caught after he posted it for sale on the Burnley Buy and Sell Facebook page, a court heard. Delivery driver Christopher Bracewell had money troubles as he had a car finance debt and was paying maintenance for his two children, but had lost his job because he had been caring for his grandparents. 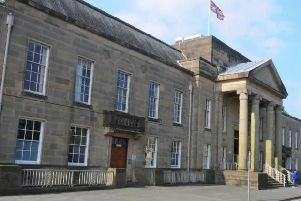 The 35-year-old had also turned to drink after losing his grandmother just before Christmas 2017 and his mum not long after, the town's magistrates were told. Bracewell walked out the Burnley store when his double dishonesty - against both his bosses and his partner - was discovered. He is now working for a Preston brewery, earning more than he has ever done before. Mrs Alex Mann, prosecuting, told the hearing it was alleged Bracewell had posted images of stock which had been stolen from Argos in Burnley, for sale in his girlfriend's name. It included a £219 vacuum cleaner, which was sold for £150, a Vax Blade cleaner with the Argos logo on the side, a mobile phone and a smart watch. She continued: "It was clear the defendant had been at work at the time these items had been taken." Bracewell was spoken to and accepted he had taken between eight and 10 things over two months. He said his girlfriend had no idea that he had taken them. He told her they were going to be sold for a friend. Mrs Mann said: "He accepted the money was for a car finance debt and he was struggling." The prosecutor added: "It was not particularly sophisticated at all." Bracewell had no previous convictions. Probation officer Elliott Smith, who interviewed Bracewell, said he had suffered "profound emotional loss". The officer continued: "He probably wasn't in the best frame of mind. He was also drinking." Mr Mark Williams, defending, said Bracewell was "hugely embarrassed" by his appearance in court. The solicitor said: "He accepted that he had done wrong and walked out. He is dreadfully sorry for what he's done. He does want to pay the compensation to put right the wrong that he has done." The defendant, of Westgate, Burnley, admitted theft by employee, on or before March 21st, last year. He was given a 12-month community order with 120 hours unpaid work and was ordered to pay £1,267 compensation. The Bench told him the offence was a breach trust and involved some planning.